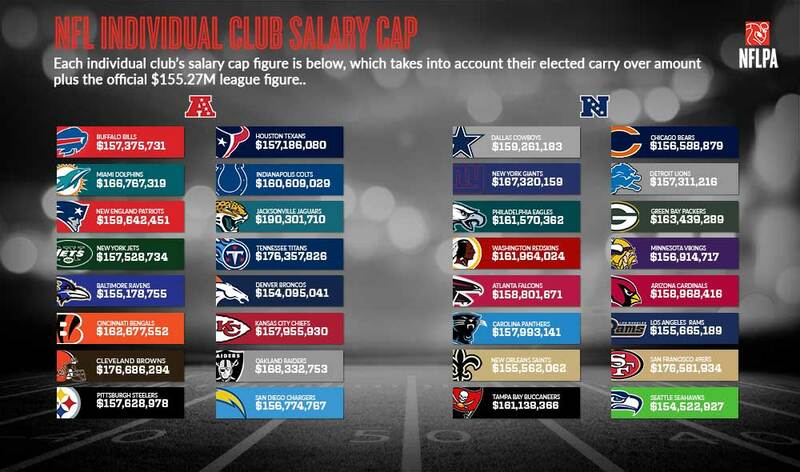 Adjusted Team Salary Caps combine the league-wide Salary Cap with each team’s carryover and other adjustments from the previous League Year. With the league-wide cap number in place at a record $155.27 million and final carryover and adjustment amounts reported from individual clubs, adjusted Team Salary Caps can be found below. Cap Room per Club will be available after the start of the 2016 League Year at 4 p.m. EST on Wednesday, March 9. *There may be slight changes in some final numbers before the start of the 2016 League Year. Any changes are expected to be negligible.